The poster for the 18th annual Korean Food Bazaar (바자회) went online on Wednesday. 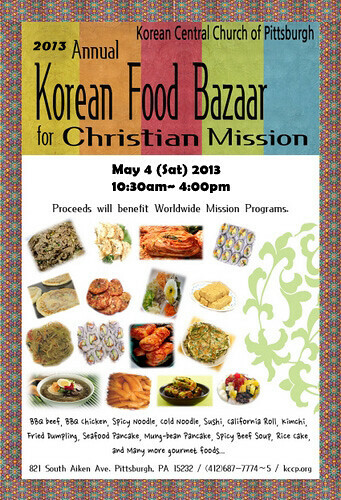 It's scheduled for May 4th from 10:30 to 4:00 at the Korean Central Church of Pittsburgh (피츠버그한인중앙교회) in Shadyside (map). We went last year; it was good.